WEST LAFAYETTE, Ind. 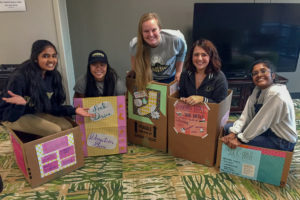 — As an active living-learning community, the Purdue University Honors College uses a house system to help students connect to each other and the larger community. The houses offer events, activities and camaraderie for all students, as well as way for those students to gain increased comfortability with their surroundings and their professors. In a nod to the Honors College icons of the forge and the torch, the houses are named after forgeable metals. 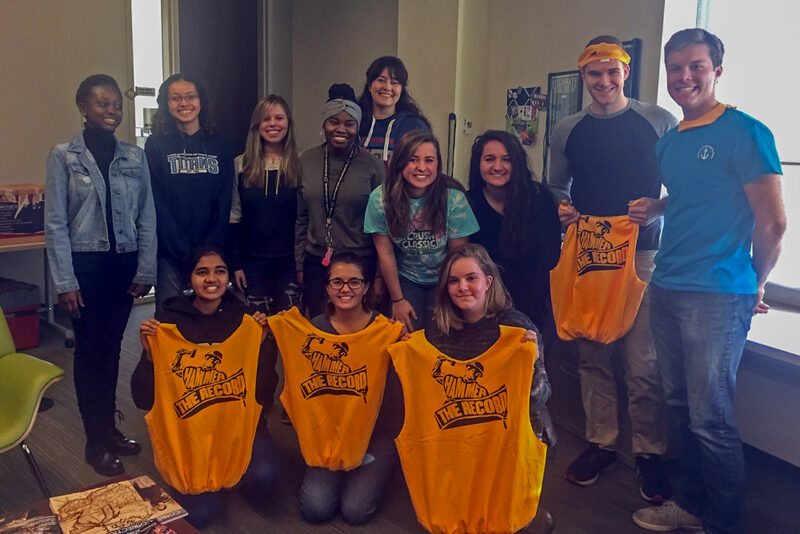 During the Fall 2018 semester, the Honors College houses provided chances for students to get a feel for the Honors College and Residences, Purdue’s campus, and the Greater Lafayette community. Dr. Lindsay Weinberg and her students in Palladium House engaged in a service-learning project to benefit the Lafayette Transitional Housing Center. House members were able to prepare and serve dinner to families and housing center members. The students also helped sort supplies. Labor is one of the primary needs of the center due to lack of resources. The students embraced the project, showing their willingness not just to engage and interact, but also to consider the causes of the issue. This helps teach students to brainstorm solutions from multiple angles, and in the case of homeless to consider the structural causes as opposed to assuming personal shortcomings. It is Dr. Weinberg’s hope that this experience will further encourage students to investigate issues related to poverty and homelessness in Lafayette. Students in Platinum House complete an “Urban Hike” to Happy Hollow Park. 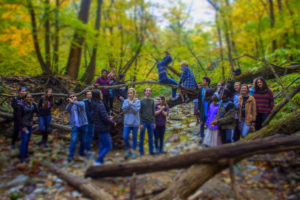 Honors College in the fall of 2014 as a way to help students see what the West Lafayette community has to offer outside of the Purdue campus. As part of the tradition, the hikers have a chance to walk along the creek and then roll down a large hill. After the students have a chance to explore the area, the group returns to campus. The duration of the hike usually lasts from two to three hours. In Titanium House, students are encouraged to be “local tourists” as they get to know the surrounding area. 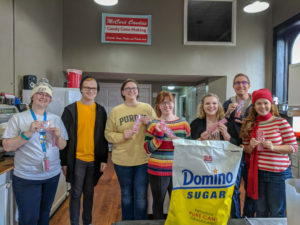 After touring the near-by Frank Lloyd Wright house earlier in the semester, Dr. Heather Servaty-Seib and Dr. Jason Parry helped their house members find the holiday spirit with a trip to McCord Candies to learn how to make candy canes. Students in Titantium House make candy canes at McCord Candies. 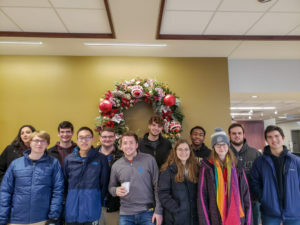 While on the tour, Honors College students learn the chemistry involved in properly melting the sugar and why it turns white (air bubbles), the history of McCord Candies and their background in candy canes, and the economics of how the pricing structure is determined. Students in Silver House completed a Sock Drive to benefit the LTHC. aware that socks are a highly requested item around this time of year, but one of the least donated items, generated the idea. The students were then able to team up with the Lafayette Transitional Housing Center for the drive. Bringing the house together to make the sock drive successful not only yielded a donation to the Lafayette Transitional Housing Center, but it also led to increased understanding of the impact students can have on their community. “It was a good start towards helping students see ways they can aid their local community,” observed Dr. Jarriel. “It also got our house members excited about getting involved.